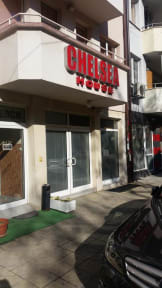 Chealsea House i Plovdiv, Bulgaria: Bestill nå! 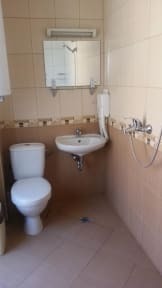 Our Guesthouse offers different rooms and suites with private bathrooms equipped according to modern standards of comfort, style and elegance. Rooms feature LCD televisions, cable TV, refrigerator, hair dryer and balconies. Guests have available for free use of wireless internet in lobby, rooms and conference room.